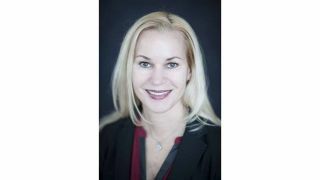 In March, Heidi Voorhees joined InfoComm International as its new Chief Operating Officer. Prior to that, she spent nearly 10 years at SmithBucklin, the world’s largest association management company. Plus, she was Vice President of Strategic Initiatives at the Institute of Food Technologists and Senior Vice President at Experient, a leading global event company. We caught up with Heidi before her first InfoComm show to gauge her excitement. Daily: With your extensive experience in trade association management, what sets InfoComm apart from other trade events? Heidi: For starters, the audiovisual industry is innovative and cool, even to an outsider like me. That, coupled with a strong base of advocates committed to InfoComm and the AV industry’s growth, makes for a forward-thinking mentality that not all organizations enjoy. I am excited to play a part in helping grow this industry, and in helping InfoComm act as a catalyst for overall AV market growth. Daily:Prior to joining InfoComm, what was your experience with and perception of audiovisual technology? Heidi: Quite honestly, I didn’t really think much about it. My experience came from working with AV vendors to produce keynote sessions and other events. I relied on their expertise to help guide the use of AV, based on what I was trying to accomplish. Now that I’ve been with InfoComm for a while, I wish I had known more about what was possible through AV. It may have helped me use audiovisual solutions more strategically to arrive at the outcomes I was seeking. Daily:What do you find to be the most interesting aspect of the industry? Heidi: How complex it is. From the technology, to the channel, to the installations, to all the places AV is used to communicate a message. AV is used in so many different verticals for so many different reasons and to produce very different outcomes. To me, that’s what makes it exciting to be a part of this industry. Daily:What are some of the hidden challenges of putting on a show like InfoComm? Heidi: In my opinion, the biggest challenge is continuing to provide value to exhibitors and attendees. With a changing industry, workforce, and every-changing technology, we need to continue to be flexible and nimble in adjusting to the needs of all our stakeholders. And for an organization like InfoComm, we have a lot of them. We do that by continuing to listen and looking for innovative approaches to deliver on those needs. Daily:What parts of the show are you personally most excited to see? Heidi: I can’t wait to meet as many folks as I can and see all the cool technology our exhibitors will be showcasing. I’ve had a little exposure to shows like InfoComm, but now that we’re here in Orlando, I’m excited to experience every part. I hope everyone takes the time to see all they can. Daily:From the ribbon cutting to the final signoff on a show well done, what’s the most fulfilling part of executing a tradeshow from your perspective? Heidi: For me, it’s hearing that the attendees and exhibitors had a good experience, received value and had fun. Whether it’s that they learned something new in a session, connected with new people or did actual business at the show, it’s all satisfying to hear. This event exists to help people grow their businesses and grow professionally. Being a part of that is rewarding.